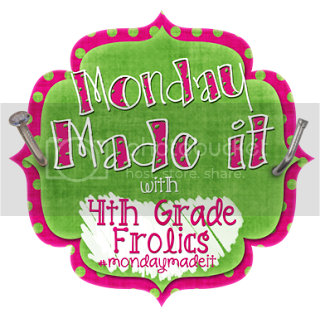 I'm excited to link up with Tara from Fourth Grade Frolics for her January Monday Made It! I'm a little late to the party, but it's been a crazy week back to school! I know everyone can relate! I am sharing school related things, because that's all I have had time for lately. I made a little freebie New Year's pack for my kiddos for the first day back, and I'm so glad I did! It was just what we needed to get back into the groove of school after two weeks off! I planned New Year's activities for the entire first day. I will blog more about that another day! You can check out the freebie pack here Freebie Happy New Year Pack. My kiddos loved the balloon Pixy Stix, of course! 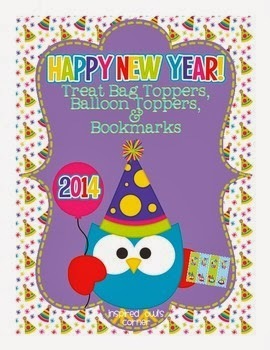 There are also treat bag toppers and bookmarks included. We also spent the day goal setting and learning about idioms. I will be blogging about both of those soon! Be sure to check out Tara's blog and the other Monday Made Its here. Freebie Happy New Year Printables!